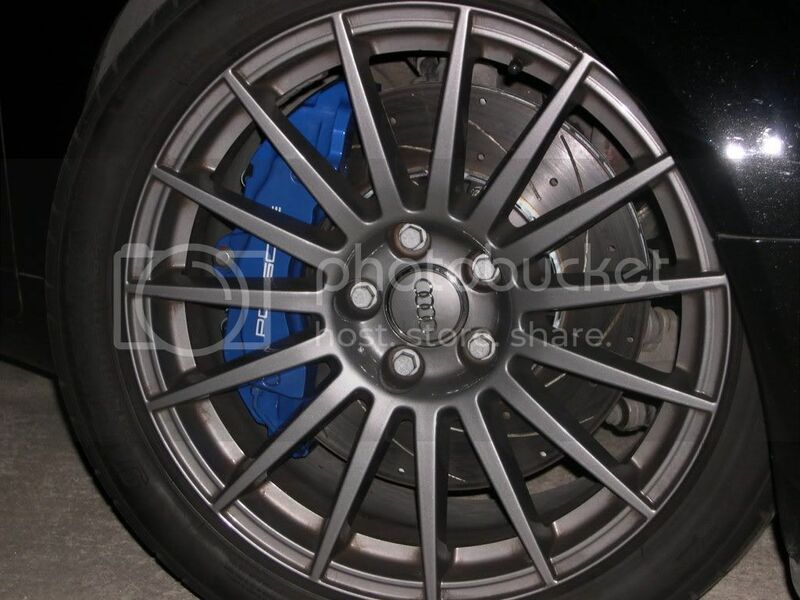 BMW 3-Series (E90 E92) Forum > BMW E90/E92/E93 3-series General Forums > Photo/Video/Media Gallery > lets see your brakes! Love the bbk! Have you tracked your car with them yet? do you have bbk in the front only? or rears as well? Your guys brakes look great! Thanks. Not 100% sure but I think it is Nogaro Silver Matalic. Thanks! I like these much more than the stock as they have a more linear brake feel. Haven't had the chance to test them out on the track though yet to see how they cope with heat. As all slotted rotors they are more noisy than stock blanks and Make a turbine type noise when coming to stop. Yup, work amazing on the track. Saved a little over $3k vs the same Brembo and they bolt right up so why not. heard 135i stock front brakes look better than a 335i. haha but also the same stopping power as well. My attempt of keeping it classy. No painting for me but I did some cooling modifications as I was cooking my brakes. Additionally I have SS lines, high-temp fluid and PFC 08 pads. All work including the cooling done by VAC Motorsports. BMW Performance BBK! Couldn't be happier!